Sometimes its hard envisioning a room complete isn’t it? I knew the colours I wanted for our Lounge, I knew what rug we wanted and overall was thrilled with the result. But there were still a few things missing, I am still to find the perfect pictures to hang over my desk, and have struggled finding just the right cushions, I felt I needed something personalised, something we could all relate too. I had scoured the shops looking for something with a bit of colour but had just not found the right ones. Then as I was making my SnapFish Calendar it came to me, I would create my cushions myself. So I spent some time going through memories of our year, and one event stood out, the Diabetes UK London Bridge Challenge. 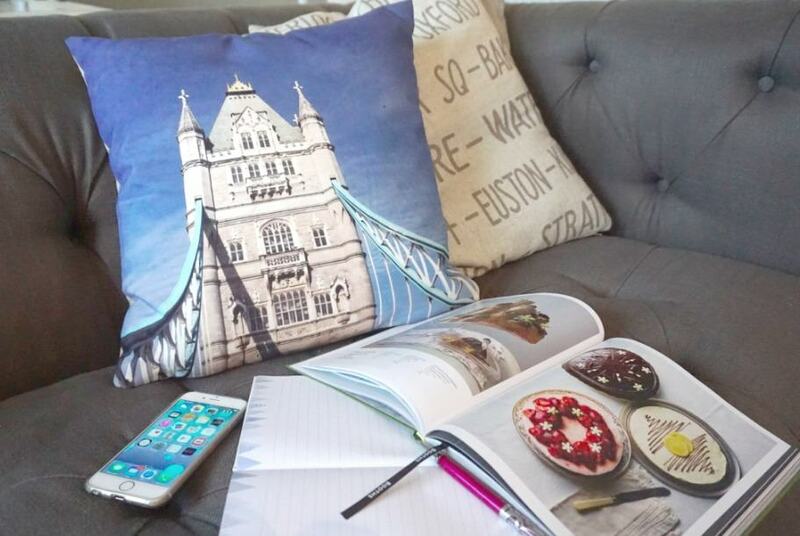 We love London; it was a beautiful day with gorgeous blue skies, exactly what I wanted for my personalised sofa cushions. The images I chose signified huge a huge milestone in our life. It has been a little over 5 years since Jacks diagnosis of t 1 diabetes. And completing the London Bridge Challenge was something we had decided to undertake as a family. It signified now only how brave Jack was, but how we had overcome a huge hurdle in our lives, we had not let it beat us, but do our best every day to keep control. And raising funds for others to help them deal with diabetes, was our way of giving back for all the support we have received. The merry-go-round photo was taken at the South Bank, shortly after half way, at this point we were exhausted but determined to go on. I remember being struck by the beauty of it against the blue sky, and the London Bridge photo was taken as we crossed the finish line. 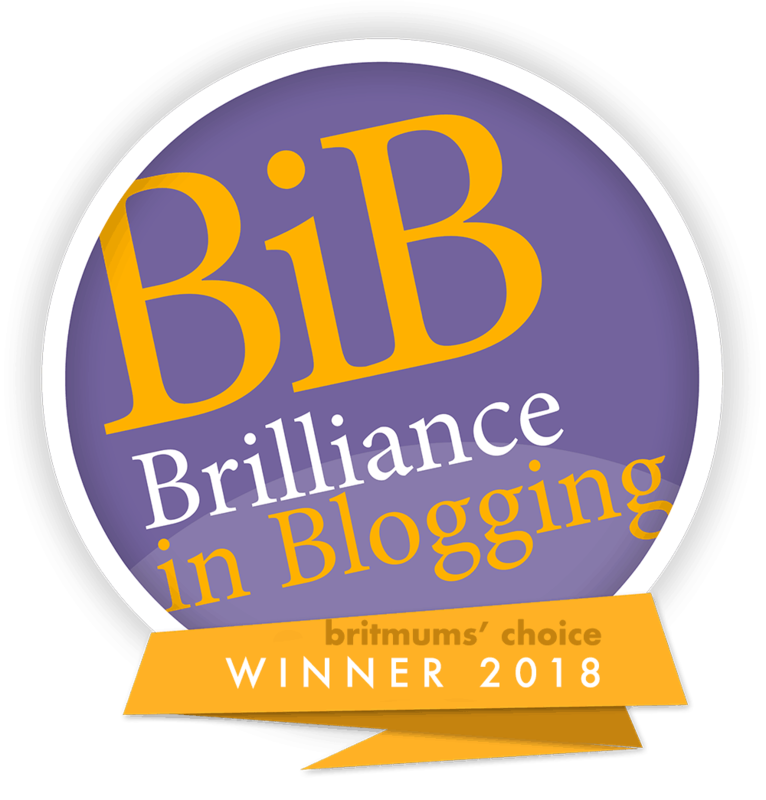 It felt like such a triumph, our little family has come a long way, with a lot of support, patience and a very brave teenager; we have achieved some incredible goals in the last 5 years. And this point felt like a celebration of that. 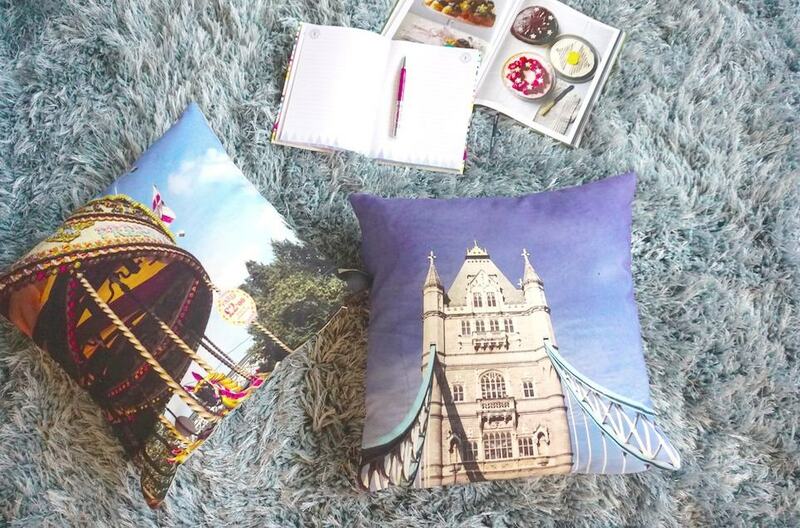 Yes, I am sure I could have bought quite similar images on cushions, but these are our memories taken on our camera. And on those days when things seem a little impossible for whatever reason, we will look at these memories and remind ourselves that actually if you put your mind to it, anything is possible. 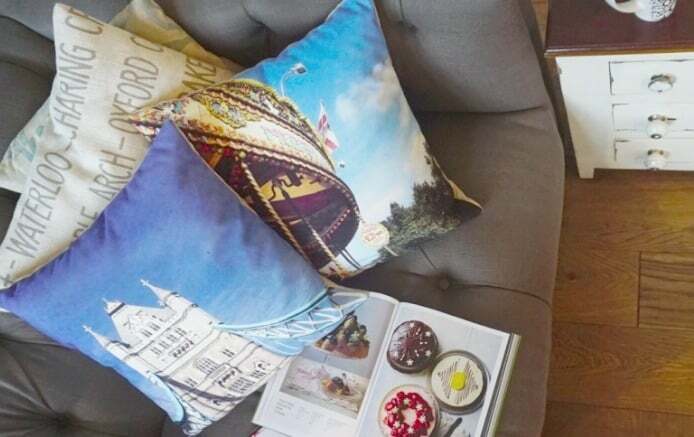 Photo cushions are such great ideas for gifts, and what better way to decorate your home than with memories that inspire you to always do your best. These look lovely, actually far nicer than anything you could have bought in the shops, and with a personal story to go along with them. I love the idea what whenever you see these you’ll think of that lovely day and everything it stood for. These are really clever. I love having unique things in my home and you can’t get more original than this. You may have done but they would not have had the same memories.